I usually post on Mondays, Wednesdays, and Fridays but I missed yesterday. Busy? Lazy? Tired? All of the above. It was however bothering me and couldn’t leave it alone (and I’m sure you didn’t even notice) so here I am posting on a Saturday. Today I decided to work out at home instead of going to my kick boxing class because it’s so windy and cold outside. We’re talking wind chills in the negative teens. I just couldn’t make myself go out in the cold. Then, because I’m nuts as previously mentioned, I decided to go out and run an errand. Nothing exciting so far, but wait there’s more. Now I’m bundled under two blankets, sipping on hot coffee, and trying to warm up. Of course now I must simply tell you about these nutty scrumptious treats! Seriously, these bars are all about the nuts. I used a pre-mixed variety container of nuts but you can certainly use whatever kinds you like. Can we talk about how gooey these are? That dark luscious layer is all sorts of soft and gooey fabulousness. The crust is made with a cake mix! I know! It’s like a really fast and easy way to a shortbread like cookie bottom. It’s one of the best inventions ever. Can you imagine all the fun things you can add crust to with this little secret? Line a 13 x 9 inch baking pan with parchment paper. Grease it and set it aside. In a large bowl, add the cake mix. Using a pastry blender or fork, cut in the 1/2 cup butter until the mixture resembles coarse crumbs. Press the mixture evenly into the bottom of the prepared baking pan. Bake it in the preheated oven for 15 to 20 minutes or until lightly browned and set. While that’s baking, prepare the mixed nut layer. Melt the 1/3 cup of butter in a large microwave safe bowl. Stir in the chopped mixed nuts. Pour the nut mixture over the hot crust and bake it again for about 25 minutes or until it’s golden brown and bubbly around the edges. Let the bars cool in the pan. Then using the edges of the parchment paper, lift it out of the pan and cut into bars. 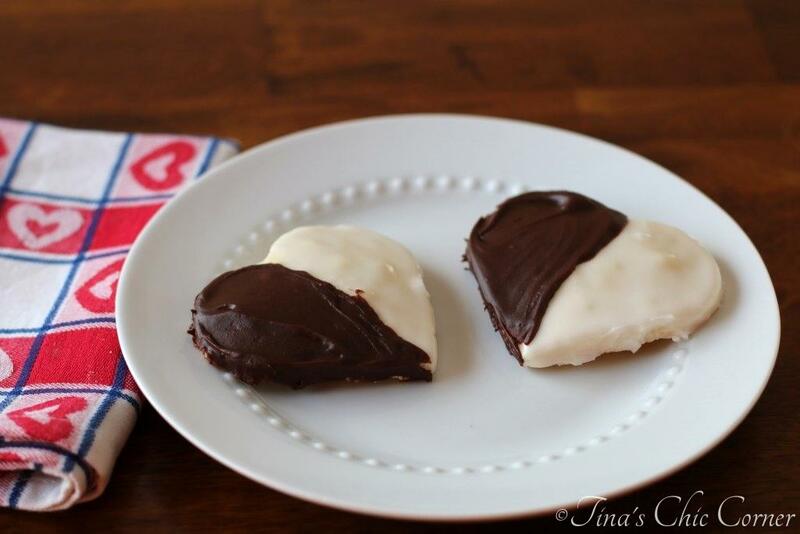 Here are some other awesome treats to share with your valentine. 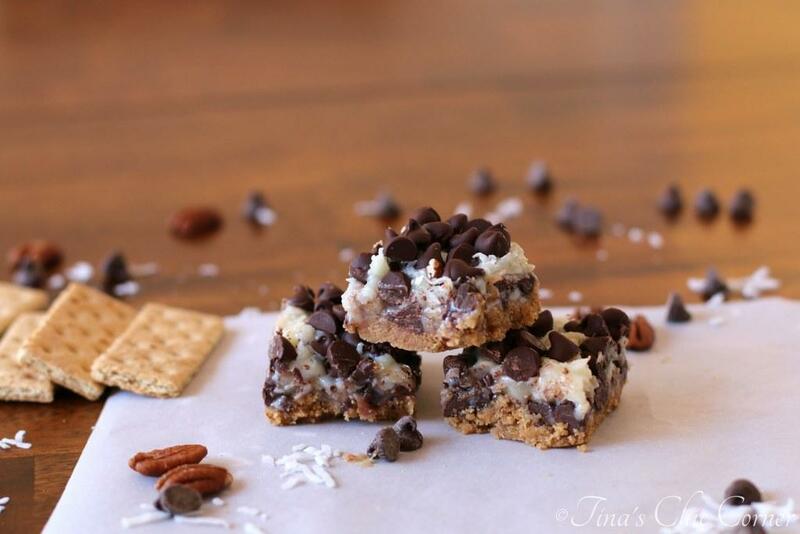 Tina, these look amazing. They are right up my alley. I like the idea of using a cake mix for the crust because I can’t make a good crust. Life is just so busy. I am so glad that I could view these delicious little bars on Sunday. Don’t ever feel stress by a delayed posting as I am currently trapped and chained to the stove for the weekend without a camera in hand as my teenagers are studying for exams and eating me out of house and home. 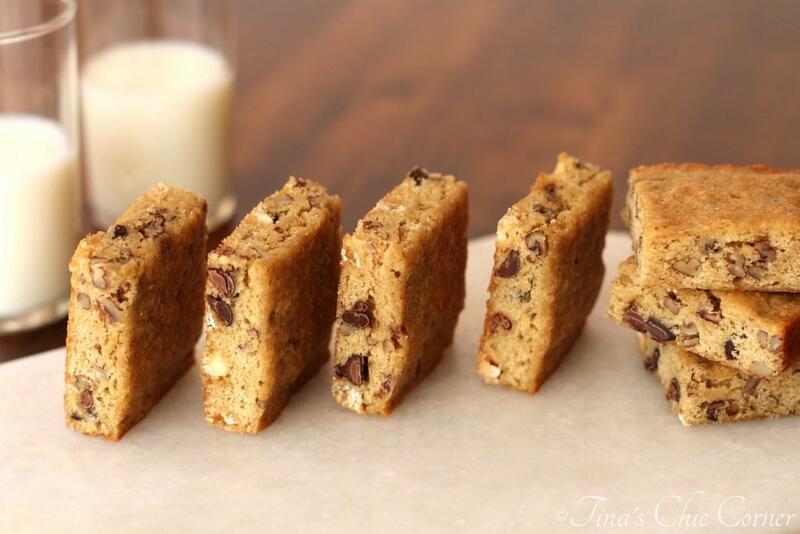 I am thinking your bars would be a perfect little snack to tie them over… Sharing of course! These are so cute! I love brown sugar/nuts combination 🙂 These look phenomenal, pinned! hahah awww yay for husbands! Mine had to rescue me once when I couldn’t get my car in our community after a snow storm! 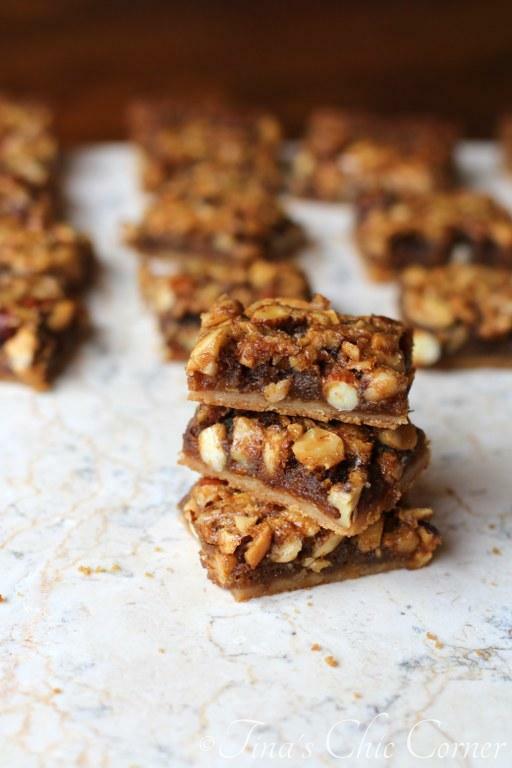 These bars look delicious – love all those nuts. Oh and go pats!! 🙂 Such a good game!